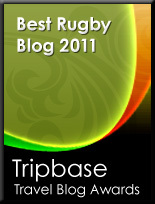 TOTAL FLANKER...a rugby blog: Outlaw the Jackal - a Solution to the Breakdown? 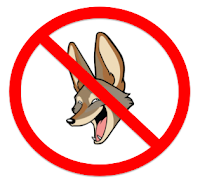 Outlaw the Jackal - a Solution to the Breakdown? As Austin Healy points out in today's Telegraph, the breakdown is "an unholy mess". Actually, as far as I can recall, the word "breakdown" is, in itself, a relatively modern thing. Back in the day (here he goes again) we simply had the maul and the ruck. The maul was quite straightforward - either you won the ball or you didn't and if the ball failed to emerge the team deemed to be moving forward were awarded the put in at the ensuing scrum. Not only did this mean that the defending team had to try to win the ball rather than just hold the man up, they also had to commit men to the maul to try to win the put in, freeing up space elsewhere. "A player is tackled then rolls around for a bit adjusting his body position in an attempt to place the ball back advantageously for his teammates. Meanwhile the tackler pops back up to his feet and squats over the tacklee trying to rip the ball from the tacklee's grasp or, at the very least, to stop its release. In the meantime everyone else in the vicinity either dives to the ground to seal off the ball, launches themselves like a human torpedo at the developing pile-up or stands to one side of the melee with arm raised to signal that they know what they're doing even if no one else does. Everyone else fans out across the pitch in a leisurely fashion secure in the knowledge that the ball is not going to emerge anytime soon, while the referee scratches his head at the pointlessness of it all." My previous solution (and a solution that Mr Healy appears to agree with in his article) was to "bring back rucking" - with players on their feet driving over the ball and using the feet to clear out anyone on the wrong side, producing quicker ball and, again, occupying forwards who might otherwise loiter in midfield clogging up the pitch. The argument against rucking players on the floor is that it is dangerous, but to me it is far, far safer than trying to smash into or judo roll players attempting to "jackal" over the ball, for instance. And that's why I'd go one step further. So many injuries these days are caused by attempts to clear out the jackal, who is clamped over the ball with head and neck exposed, supposedly (but never actually) supporting his own bodyweight. The opposition's remit is to remove him by any and all means necessary and the subsequent collisions are essentially an injury waiting to happen. It is time, therefore, to outlaw the jackal. There, I've said it. When a tackle is made players must simply stay on their feet and attempt to drive over the ball. Not only will this result in fewer collisions ergo fewer serious injuries, I'm convinced it will also produce quicker ball, more space and a faster game. Yes, it might mean winning turnovers is a bit more difficult, but teams will simply have to develop counter-rucking strategies to compensate. The Day of the Jackal is over. How about, when the player is tackled, everyone retreats 10 meters to crest space and the tacklee stands up and plays the ball back to a supporting player. Much less dangerous. Much quicker ball. While we’re at it, if we’ve banned jackles you might as well remove the flankers from the pitch all together. I am of course joking. It seems like the sort ofplace people can take it. Just felt in a mischievous mood this morning. I love both rugby codes, but I’m missing my league!